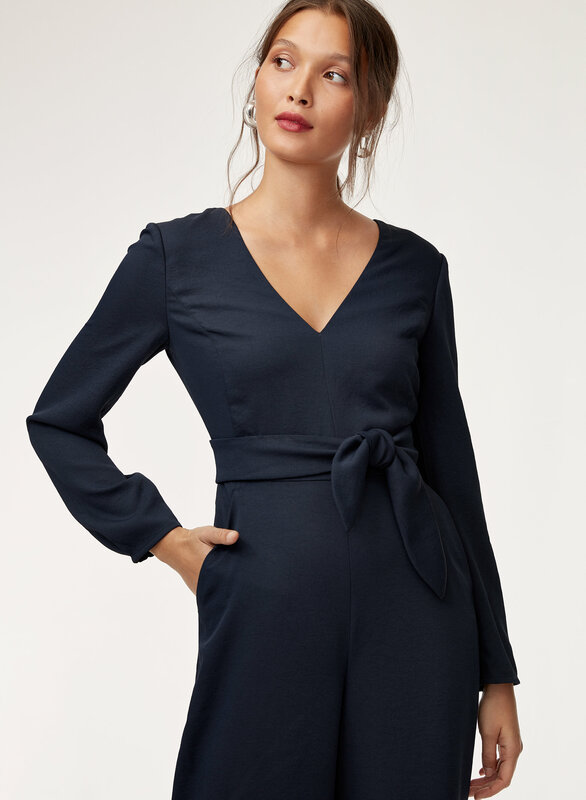 This version of the Écoulement Jumpsuit is cut from a luxe Japanese crepe with an intricate basketweave texture. 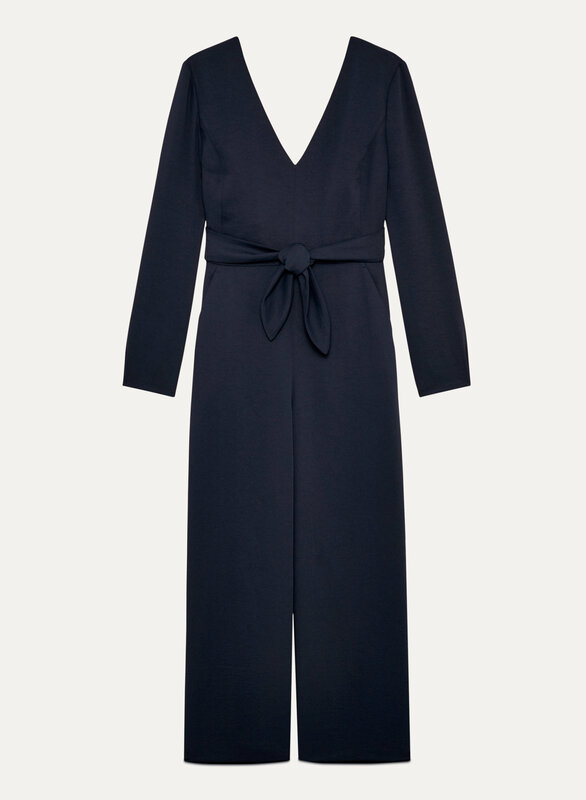 It has a subtle back cut out, and the self-tie at the waist lets you customize your silhouette. Long sleeves make it perfect for cooler temps. I ordered my usual size but torso was so short that I would probably need to go up at least two sizes. Design is very cute, fabric is lovely. Classy jumpsuit with great fit. The material is awesome as well as body fit. The only problem is I think I’m too short for it as it keeps falling off my shoulders. It’s very flattering on otherwise. I am usually a size xs/2. I was a 4 in this. It’s smaller/tighter fit.I’m 5’2, 118lbs, 32B. I had to return. I fit the ecoutment dress thou- exact fit and material and I love that! Originally purchased this in the rusty gold colour but it turned out to look like a faded out red. It also fit small. I ended up exchanging for the black in a size up and I love it. The long sleeves make it wearable throughout the year. 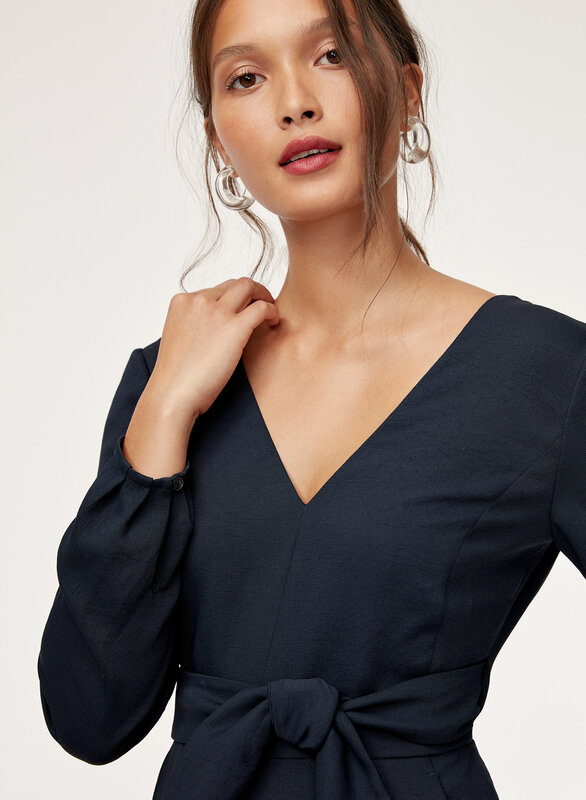 This jumpsuit is perfect. Fits amazing and so flattering. Definitely recommend! Luv this jumpsuit. Only downfall is it's a little short in torso. I do not have a long torso. Nice fabric and it hangs beautifully. It is a beautiful jumpsuit. The style was just what I was looking for. Wish it came in a larger size for those of us that have a longer torso. Had to return it because it was too short in the torso. 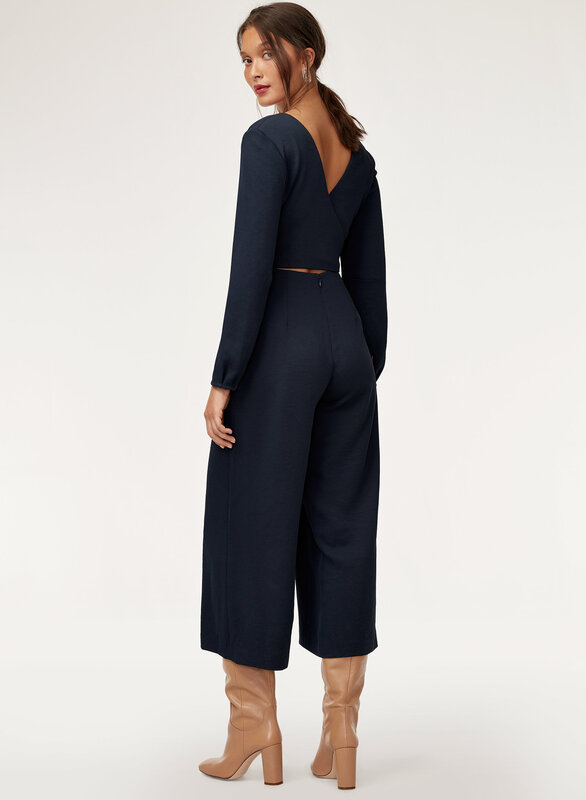 A jumpsuit with sleeves? Yes please. Obsessed. Fits perfect. Great for the holidays! Love this jumpsuit! The material and fit is so comfortable. 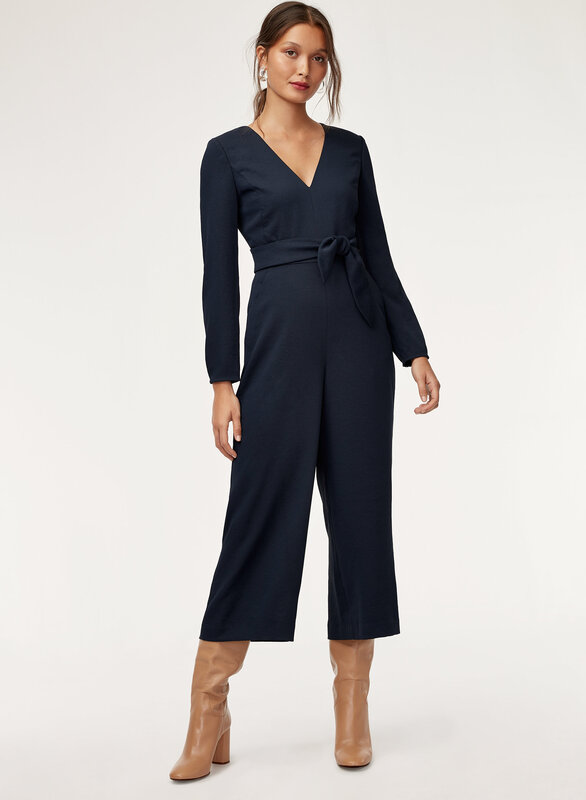 I found the jumpsuit to be true to size, however I like the no sleeve version of this jumpsuit better, it seems to fit better on me then this version for some reason? Otherwise, many compliments!